We finally managed to take our long anticipated Canadian Rockies vacation. The first day we made it to Colorado Springs, CO, and the second day we finally stopped just north of Ogden, UT at Tremonton. There sure is a lot of unpopulated country up through here! Enjoyed the drive though. 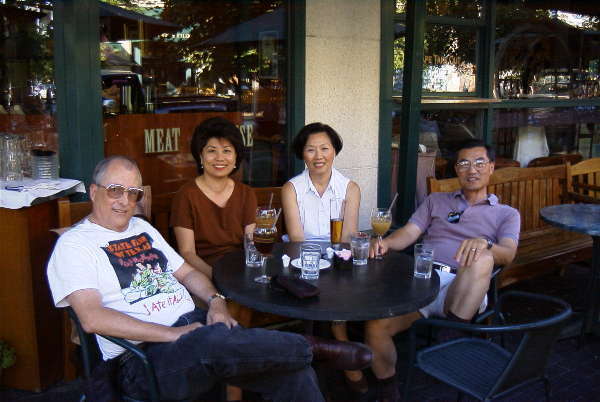 The next day, Saturday, we reached our initial destination, Boise, ID where we planned to visit some old friends. 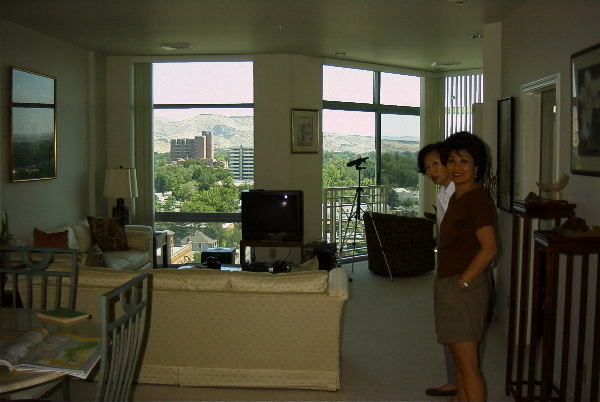 As soon as we got settled into a hotel in Boise, we contacted Fann and Jeannie Shao and visited them in their downtown apartment. It's a beautiful place with a great view. 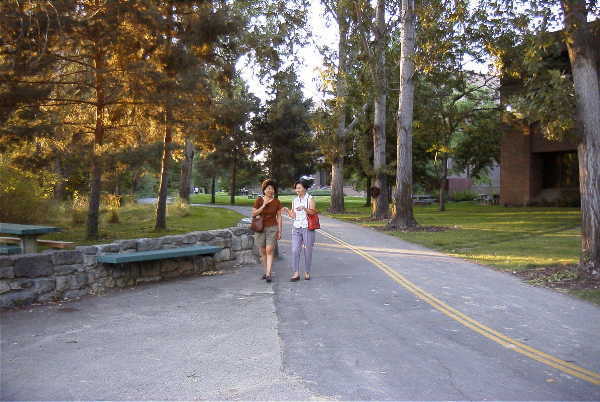 Surprising to us, Boise has a very active downtown life. Fann gave us a great tour of Boise, including a trip up to Bogus Basin Ski Resort which is only about 15 miles out of town. 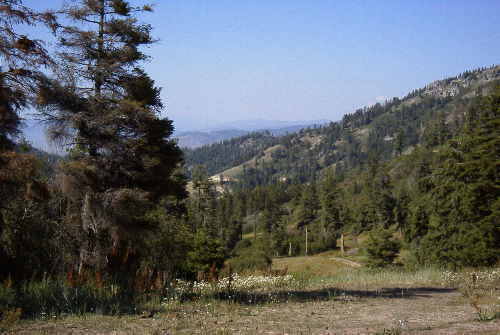 Here's a look down the mountain from just below the lifts. After the tour of the city, we stopped by a side walk cafe for a cool drink, a little relaxation, and some conversation. Next came a great dinner right next to the river. We decided to try and walk some of it off along the greenbelt walking trails that parallel the river for 8 miles in Boise, and continue in adjoining cities. Angie and Jeannie used the opportunity to catch up on what's been going on.